I hope everyone enjoys this weekly look back at some of the slightly older books that are about but still great, going to aim to read books that have been out for at least 6 months, and that I eventually make a dent in my TBRs as a result of it! 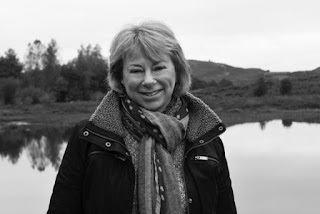 I’m Jan Ruth and I write contemporary fiction about the darker side of the family dynamic with a generous helping of humour, horses and dogs. My books blend the serenities of rural life (Welsh, Snowdonia) with the headaches of city business, exploring the endless complexities of relationships. mathematical and scientific, and to this day struggle to make sense of anything numerical! My first novel - written in 1986 - attracted the attention of an agent who was trying to set up her own company, Love Stories Ltd. It was a project aiming to champion those books of substance which contained a romantic element but were perhaps directed towards the more mature reader and consistently fell through the net in traditional publishing. Sadly, the project failed to get the right financial backing. Many years later my second novel, Wild Water, was taken on by Jane Judd, literary agent. Judd was a huge inspiration, but the book failed to find the right niche with a publisher. It didn't fall into a specific category and, narrated mostly from the male viewpoint, it was considered out of genre for most publishers and too much of a risk. Amazon changed the face of the industry with the advent of self-publishing; opening up the market for readers to decide the fate of those previously spurned novels. From there I went on to successfully publish several works of fiction and short story collections and after a brief partnership with Accent Press in 2015, I’ve happily returned to the freedom of independent publishing. My Wild Water series consists of three full length novels, also available as a box-set in a single complete download. This series was developed from my first book and grew into a gritty read with some crime in the background. The Midnight Sky Series is an equine based read, also consisting of three novels and the final in this series and the box-set is out soon. Silver Rain and White Horizon are both stand-a-lone novels. Not forgetting three collections of short stories with another Christmas novella planned for this year! Dark Water. The introduction of a crime thread and some of the chapters written from the point of view of a truly nasty individual meant I had to get into his head. It was challenging but I enjoyed it, and I think it enriched the story. I do love Jack Redman (Wild Water). He’s the ultimate hapless male, something of an anti-hero in that he’s an estate-agent and in that respect, he was pretty challenging to create and appeal to the reader. He remains my most popular character so I must have got something right! I have a truly fabulous cover designer whom I’ve worked with for several years now. I love them all, but if I had to choose one I think it would be Silver Rain. The front cover is actually Llandudno Pier and it’s especially accurate and evocative of the novel, which is set in North Wales. Yes! I’m poised to write a non-fiction book about local walks. I’ve just started my Christmas novella which is tentatively titled ‘Away for Christmas.’ Seems natural since my previous Christmas offering was Home for Christmas. Oh, so many. Clare Chambers, David Nicholls, Jojo Moyes, Mark Haddon, Mary Fitzgerald. To name but a few! Thank you so much Jan for taking the time to answer my questions.